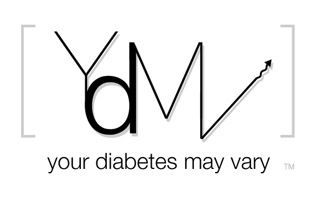 Your Diabetes May Vary: Diabeticfeed is Coming Back - Yeah! Great news on Facebook this morning. DiabeticFeed is coming back. This was my favorite source of news back in our T1 newbie days. I can't wait to have the feed on my phone. We're pleased to announce that diabeticfeed is back after a four year hiatus! Join us as we begin podcasting again with the latest news, information, and people that make an impact in the diabetic community. Thank you to all those who wanted us to continue! Expect a new podcast this week! Finding us on Facebook - we're diabeticfeed! I'm there! Looking forward to it! Thanks for passing the word along! Looking forward to tuning in once again to the D-Feed - a welcome return, indeed! I too was THRILLED to see this!